Free Download Cryptex of Time Game or Get Full Unlimited Game Version! Solve mind thrilling puzzles in a beautifully rendered 3D environment in this new innovative Match 3 game. 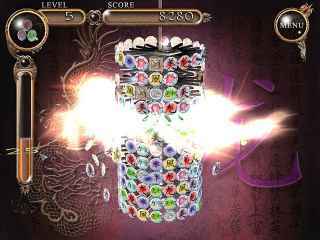 In order to get advantaged of playing Cryptex of Time full unlimiteg game version you must register the game. Cryptex of Time is a new innovative Match 3 game that takes the player to a beautiful 3D environment. Rotate the wheels of the Cryptex to create matches and solve mind-bending puzzles. 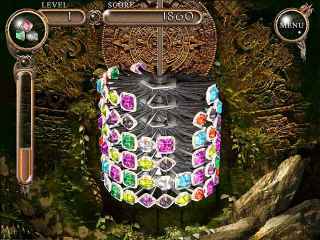 There are plenty of special symbols and gems to create variety and help you out of tricky situations. Travel through the world maps to find new challenges and treasures. Several play modes to try. Imagine a sunny day at a cozy Parisian cafe. People are walking around, drinking coffee and laughing. Suddenly a bright flash wipes out all life on Earth! Uncover the Valley of the Ancients in your quest for a sacred jewel and the secrets behind a city's great demise. Only the pure of heart will discover what waits beneath the sifted sands. Restore the wizard Avitus' home in this magical Match 3 game. When Grandma Giddywinks proclaims "It's Quilting Time! ", get ready to be spoiled with hours of delightful, puzzle-solving fun! Travel back in time with Time Dreamer! Help our hero travel to the past and save his father! Can you help him fix the past?